Is it possible for a single song parody on YouTube to unite science-fiction nerds and musical theater nerds? Writer Tim Murphy attempted it with The Spocky Horror Picture Show, but that was over 20 years ago, before the entertainment landscape became as fragmented as it is today. 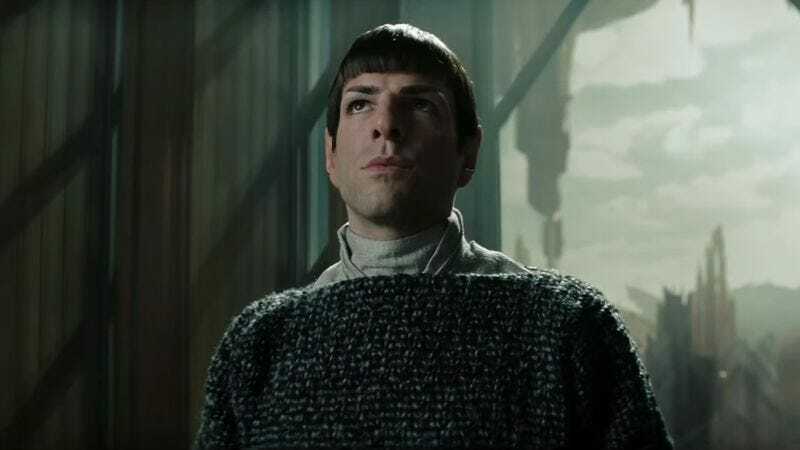 Now, into the deeply divided world of 2016, arrives Jackson Lanzing’s “My Spock,” a tune that takes its melody from Lin-Manuel Miranda’s smash Broadway musical Hamilton and its lyrics from the plot of J.J. Abrams’ fairly well-received 2009 reboot of Star Trek. In a way, this is a natural pairing. With his musical, Miranda is attempting to put a fresh spin on American history for a modern day audience, just like Abrams is dragging the Trek franchise into some semblance of modernity. Revisionism is the order of the day here.